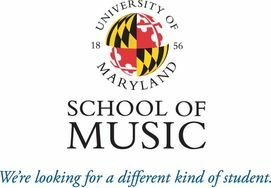 Robert DiLutis is currently the Professor of Clarinet at the University of Maryland, School of Music, College Park and in his 1st season as Principal Clarinetist of the Annapolis Symphony Orchestra. Mr. DiLutis previously served as Professor of Clarinet at the Louisiana State University School of Music from 2009-2012. He has also held positions with the Rochester Philharmonic Orchestra, San Antonio Symphony Orchestra and the Eastman School of Music. Mr. DiLutis has served on the faculties of St. Mary's University in Texas and Nazareth College in New York. His recent recitals and master classes have included the University of Georgia, University of California at Northridge, University of South Carolina, Catholic University of America and the International Clarinet Conference in Assisi, Italy. Born in Baltimore, Maryland to a family of musicians, Mr. DiLutis studied first at the Peabody Conservatory with William Blayney and later at the Juilliard School with David Weber, principal clarinetist of the NYC Ballet. In 1989 he made his Carnegie Hall Recital debut as the winner of the Artist International Chamber Music Competition. As a soloist Mr. DiLutis has performed with ensembles such as the San Antonio Symphony, LSU Wind Ensemble, Rochester Philharmonic Orchestra and the Baton Rouge Symphony Orchestra. Mr. DiLutis has performed and toured with the New York Philharmonic and is currently co-director of the Clarinet Academy of America, an intensive summer program for advanced clarinetists in high school and college. In addition to his performance career Mr. DiLutis is the creator of the Reed Machine, a reed making device used by top professionals around the world.